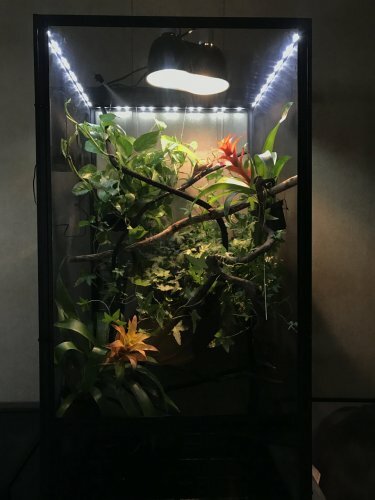 Just finished setting up this enclosure today. 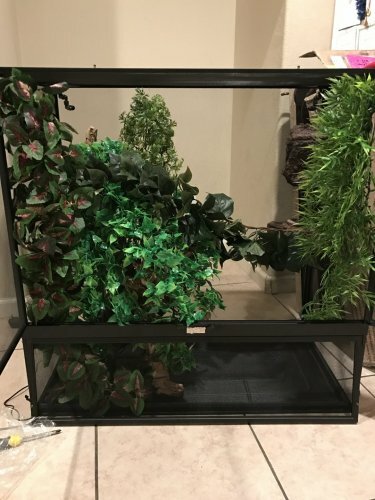 It's a 24x24x48 repti-breeze. 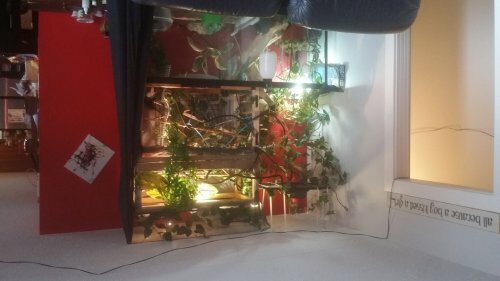 I'm housing my 3 month old veiled chameleon in it (which, before anyone says anything, he has taken well to cup feeding and I had a small enclosure as a back up for in case there was an issue). 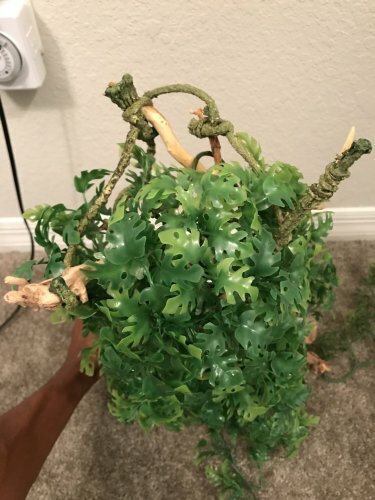 Where did you get the rack that you use to hold the plants up? 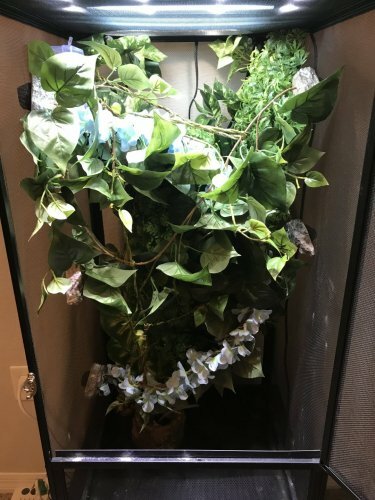 My self build was compelted this week and Tarzan has moved in! 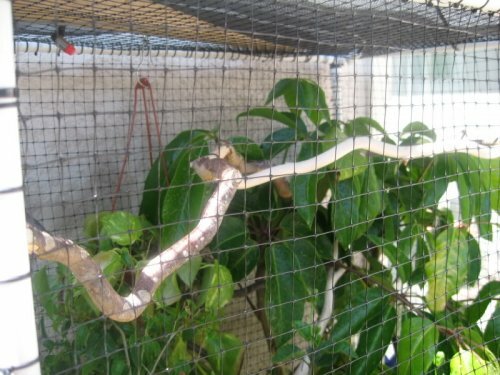 This is Pastel's new cage. 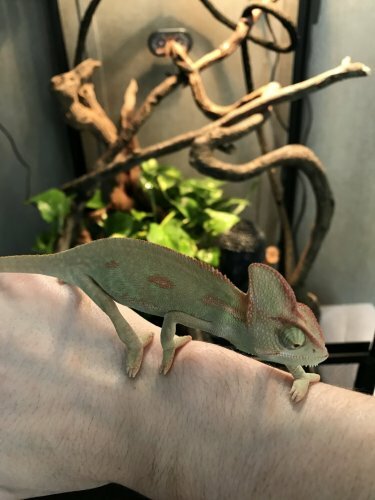 I'm new to owning a chameleon and mine is just over 6 months. 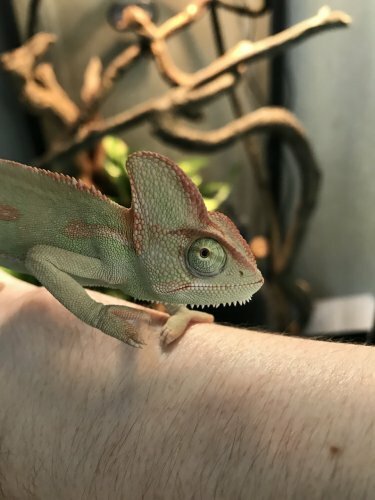 I got him from a specialty reptile shop in Nashville. I never knew I could love the little cricket muncher as much as I do lol. 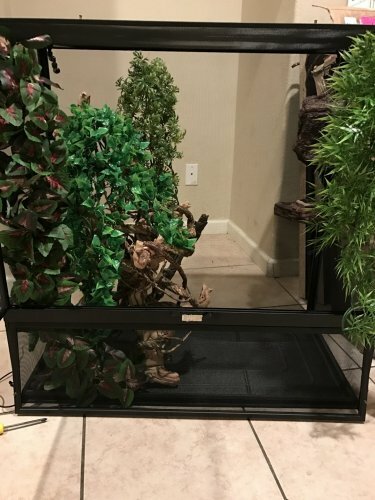 The cage is a XL Reptibreeze LED Deluxe and I love it. 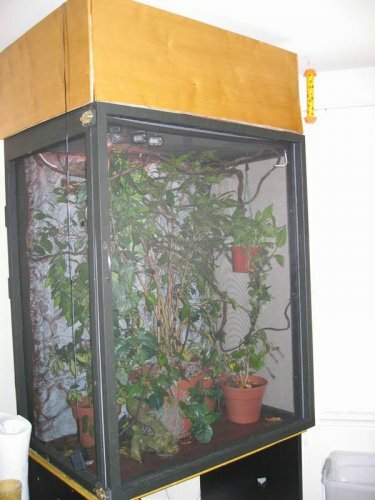 All the plants are real and safe for chams. 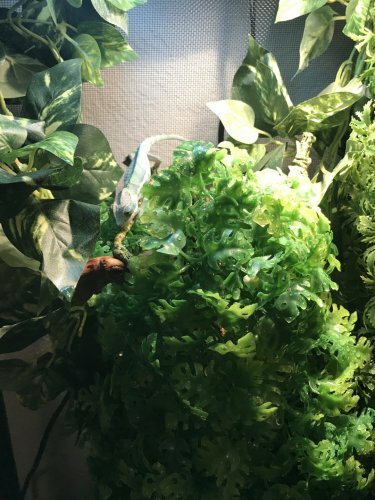 I had him in a regular Large Reptibreeze before this and I have to say the deluxe is great. The LEDs aren't to die for but I mainly bought it for the glass door. I love it. 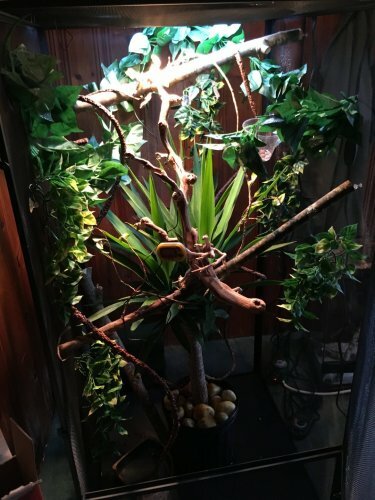 This is my Setup for Lilli my 7 month old furcifer lateralis . ^Nice, did you build or buy that? When will mine be ready? 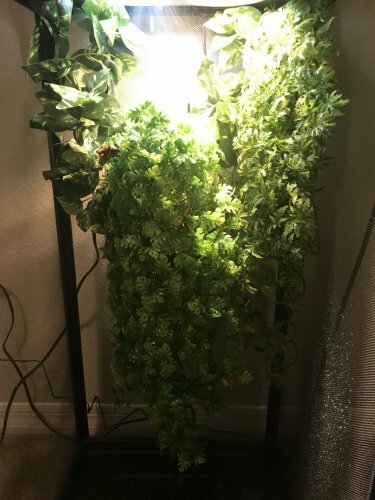 To add some different insight to the thread, I've put together some pretty cool set ups in my opinion using all artificial plants and vines. Both of my guys seem to be growning up just fine! 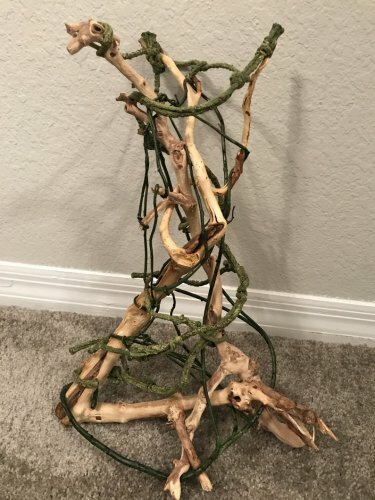 I haven't upgraded to live plants yet, but some day I will! It's been years since I posted on here and I MISS IT! Can't wait to get back into raising chameleons again. 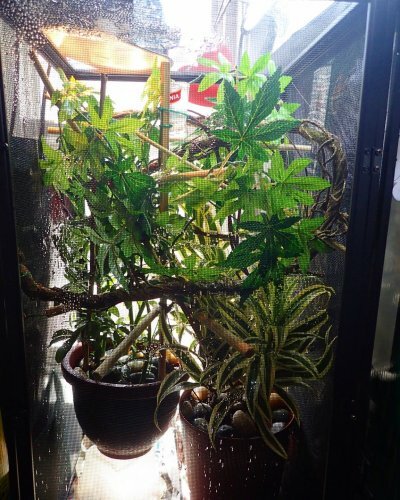 Anyways, wanted to share some of my cages. All of the ideas were developed on info and ideas from this site. This is a great SITE! 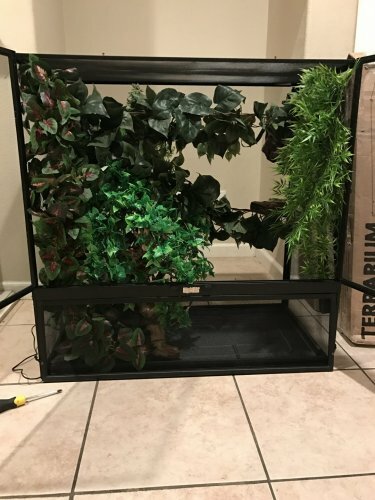 This is my makeshift baby enclosure. 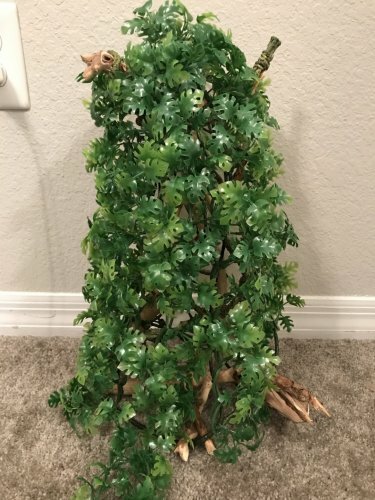 It worked really well and costs me around $20. 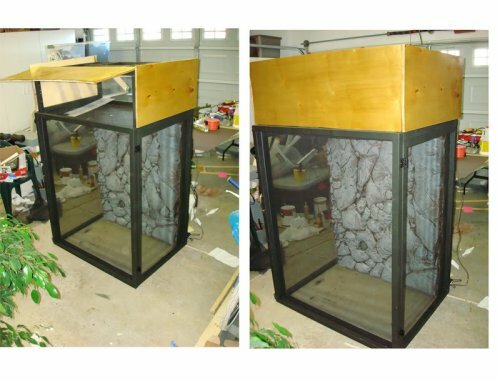 This is my custom built diy adult enclosure. Made of wood and window screen. Later on (not pictured) I mounted it on top of an old sink with caster wheels. I used that as my drainage into a gasoline tank. I created the top part with a hinge so I could have easy access to the lights. There is also a cross-sectional beam where I can hang heavy plants. 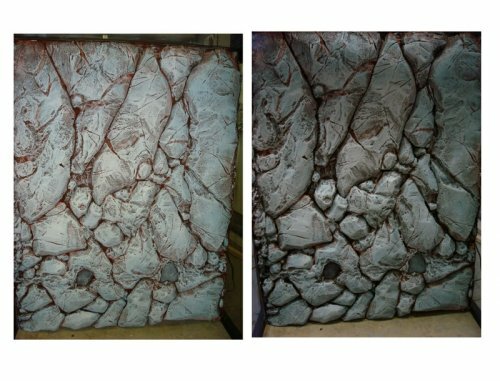 The rock wall was cut and carved out of foam. It was then brushed on with quick drying cement. Followed by two different color house paints. Finally sealed with a clear acrylic sealer sprayed on with a water bottle. I used a dry brush technique to bring out the details in the cracks. Paint the darkest color on first (fully covering the wall). Then dry brush the lighter color. This means you barely get some dry paint on the brush and start painting the surface of the rocks. Don't fully cover all the details or you will lose them. 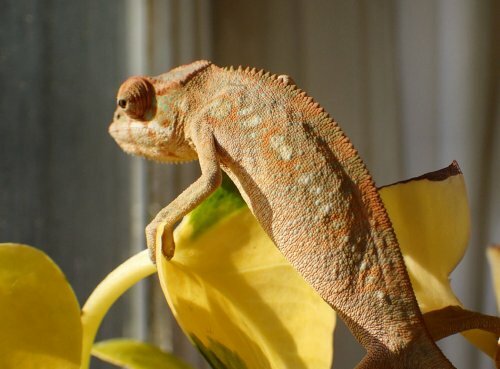 In the summer, my cham lived outside (I live in California). 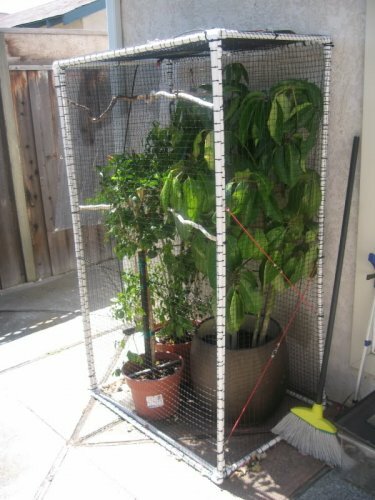 This was a cheap and easy outside cage. I even made the mesh big enough for bugs to fly in at their own risk. 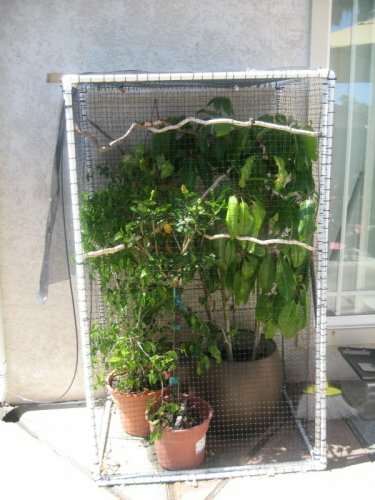 - Misting System was rigged up to a bucket that led to my garage. 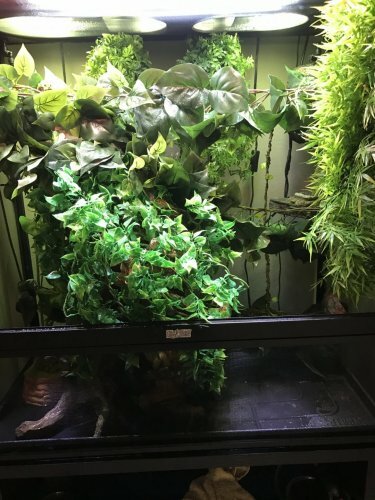 - Plenty of live plants so my cham can hide from birds.